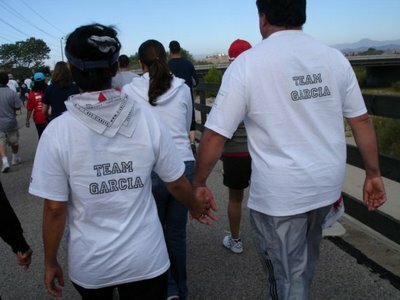 Go Team Garcia. The Diabetes walk in Valencia this Sunday was such an awesome experience. 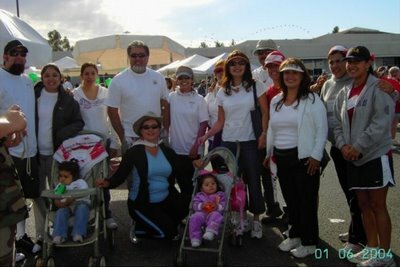 Big props to Comadre Patty for getting the family involved. It was a great day and we were so happy to be a part of it. A extra special thanks to Angela and Ron for helping us make our goal! 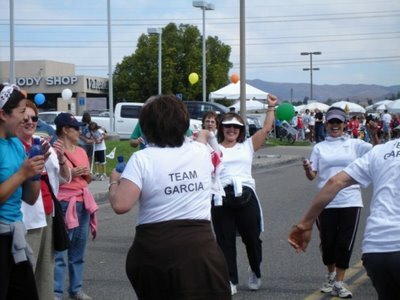 Together Team Garcia raised about $1200 for diabetes research! We will beat that next year! damn i wish i could have gone! well, you gotta pay the bills. 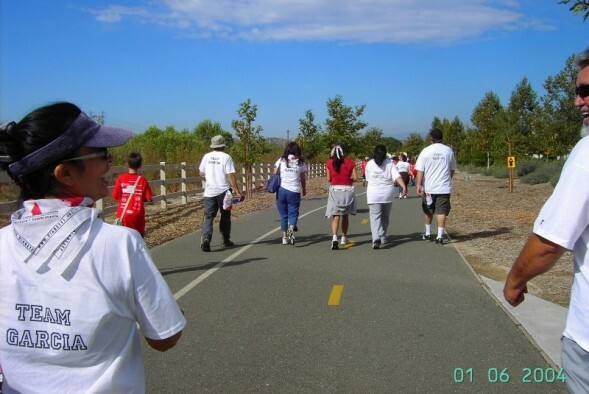 but that picture of sophia walking, even though you cant see her face, it looks like she is saying, everyone is walking this way, so i will too. 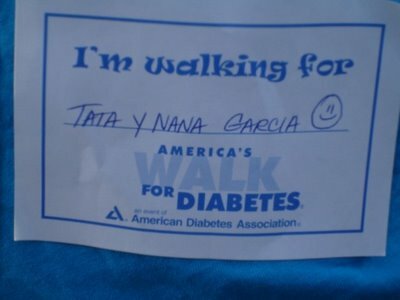 What an awesome thing for you to have participated in!! Diabetes is very much a part of our family too. My mom and my brother have it. My mom is even on dialysis now as a result. It's a killer and it wreaks havoc on so many organ systems in your body. Congrats on being a part of and contributing to such a wonderful cause. 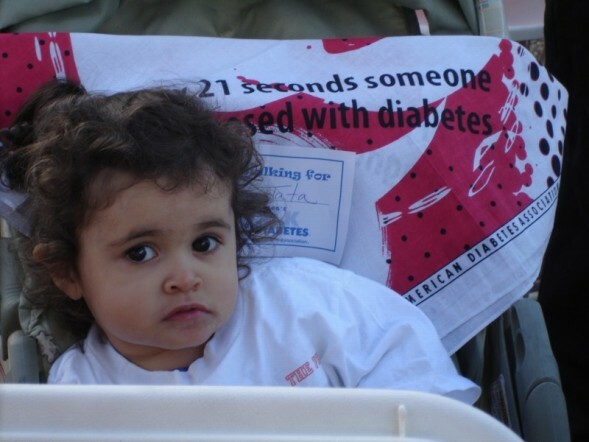 And how awesome that you're teaching The Phi at such a young age to partcipate and take action in worthy causes. You rock!! !